Animal Hospital at the Shores is proud to announce the addition of Therapeutic Cold Laser Therapy to the pain management solutions we can offer for your pet. With our new Laser, we can provide patients with a non-invasive, drug-free solution for chronic pain relief and tissue regeneration. Laser therapy has been successfully used around the world for over 25 years, with no reported long term or irreversible side effects. Laser therapy in the United States has also quickly gained popularity since receiving FDA clearance in 2002. Trending with human therapies, pet pain management and rehabilitation are now more readily available. Many times only one treatment is required to resolve wounds, hot spots and ear infections. Chronic pain conditions like Arthritis may require twice weekly visits until improvement is seen. Many of our patients are already seeing great results. Sweet Huntley had torn cruciate ligaments repaired in both of her knees years ago, but now she has really bad arthritis. 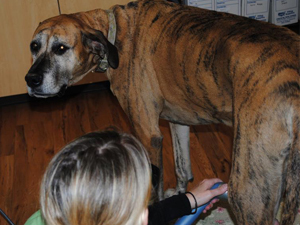 We have started using our therapeutic laser on her sore joints. We're seeing some improvement already! 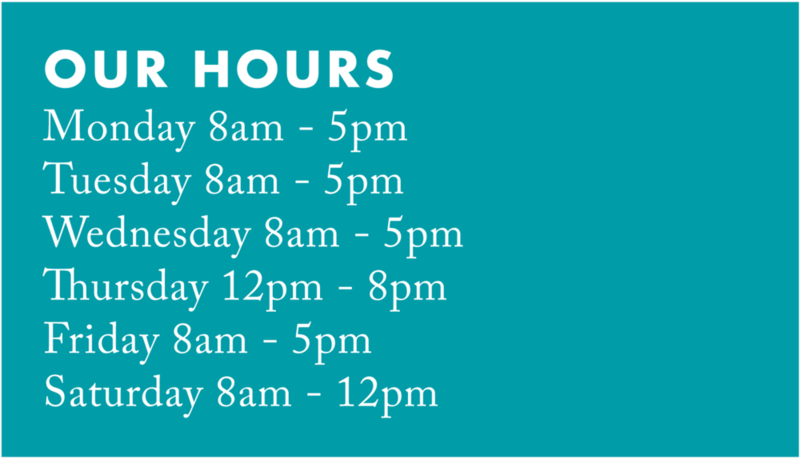 If you have any questions or would like schedule an appointment call us at 847-842-5000.